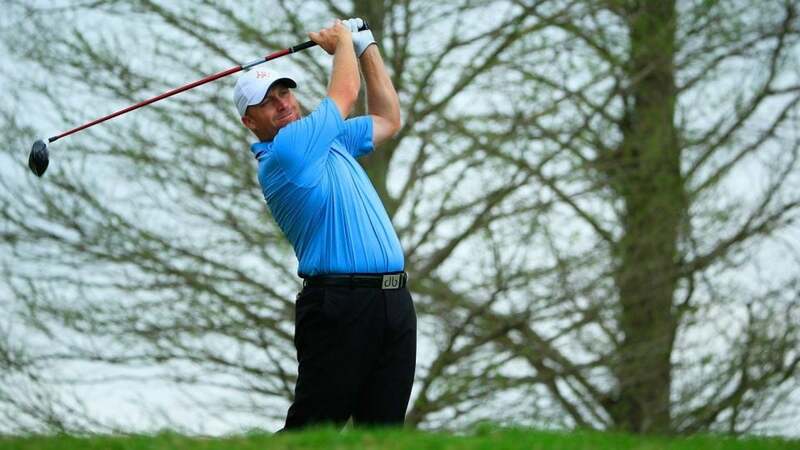 John Rollins during the 2016 Chitimacha Louisiana Open. When he went to sleep Wednesday night, John Rollins was prepared to caddie for a fellow pro in the first round of the AT&T Pebble Beach Pro-Am. By the time he woke up, Rollins had a spot in the field at Pebble Beach Golf Links, with a tee time just three hours away. “Crazy. What a roller-coaster day,” Rollins told Jim McCabe of PGATour.com after his round. So how did this all happen? It’s complicated. After struggling over the past three years playing intermittently on Tour, Rollins agreed to caddie for friend and fellow Dallas-based pro Hunter Mahan at Pebble Beach this week. According to McCabe’s report, Rollins was asleep Thursday morning when at 5:30 a.m. he received a call from PGA Tour headquarters at 5:30 a.m. Thursday morning with unbelievable news. In addition to being a caddie in the event, Rollins was also on the alternate list for the tournament, and the official on the early-morning call told him that because so players had withdrew, he now had a spot in the field, and a tee time at 8:44 a.m. PT that morning, just three hours away. After calling Mahan and receiving his blessing to ditch his caddie duties, Rollins headed to the range to get in some last-minute prep work. He made it to the tee in time, and ended up shooting a one-over 73 in the first round at Pebble. Amazingly, though Rollins knew he was an alternate for the tournament, he was outside the top 20 on the alternates list. Which means he had close to zero chance of playing the event. Even after 20 players withdrew, it took alternate Tommy Gainey missing a connecting flight to California to hand the spot to Rollins. Rollins last played on the PGA Tour in August at the Barracuda Championship, where he missed the cut. He tees off for the second round of the Pebble Pro-Am at 7:00 a.m. PT, 10:00 a.m. ET at Monterrey Peninsula’s Shore Course.